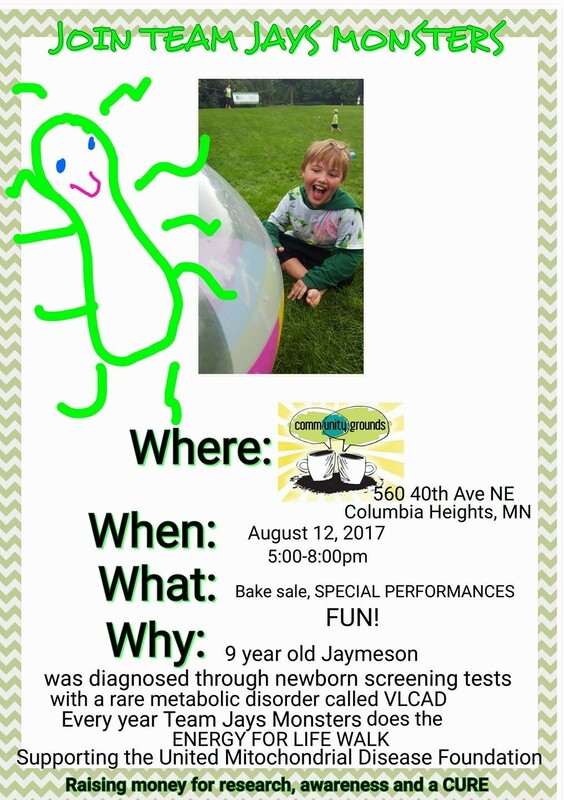 Join Jays Monsters at Community Grounds on Saturday, August 12th 5:00pm-8:00pm for a fundraiser. Special performances by Jays Monsters team members Skyelynn and Jaymeson. Bake sale and other vendors with proceeds to the Minnesota walk. Community Grounds is located at 560 40th Ave NE, Columbia Heights.